, of his character in bed with Tails. 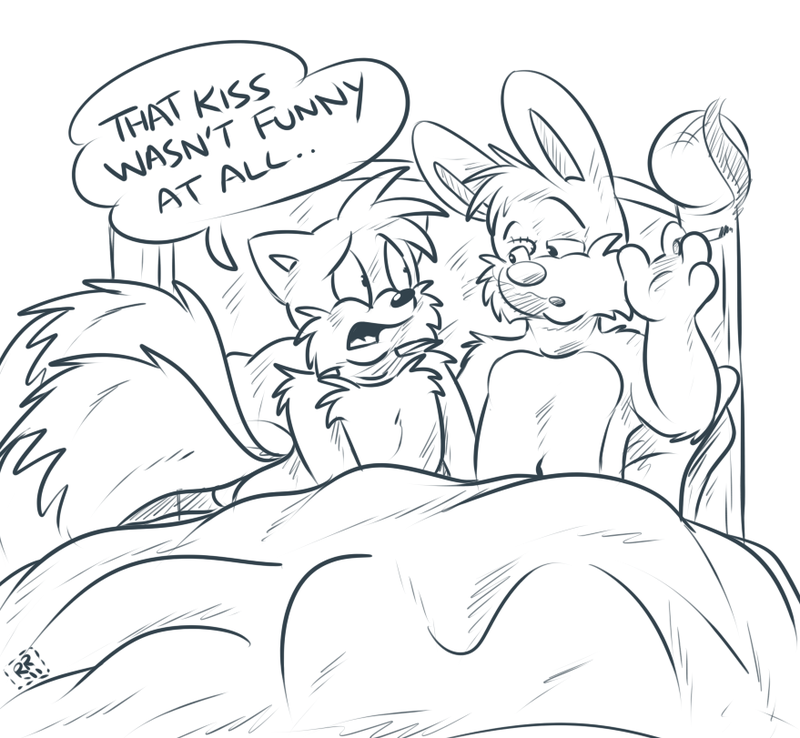 Always good when someone wants me to draw Tails, because he is adorablez. I feel a quote from Boondock Saints coming on. I don't know how anyone could like a kiss from someone after they have smoked a cigarette or are smoking a cigarette....bleh. Also, is this "...wasn't funny at all" line some character catch-phrase? I've see it more than once in fanart.